On August 30, 1968 Soviet Government issued a directive №670-241, setting timeframe for new generation of Soviet unmanned reconnaissance drone Tu-143, part of the tactical reconnaissance system «Reis» VR-3 («Рейс» ВР-3). Variant with photo reconnaissance capability had to be ready in the 1970 and one with TV cameras and radiation sensors - in the 1972. 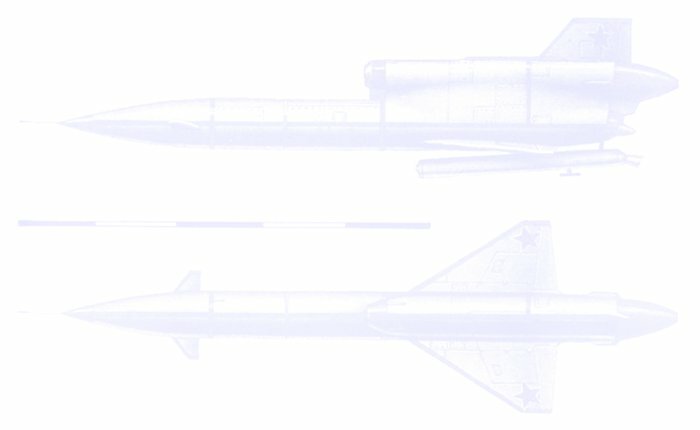 Tu-143, its launcher and land control unit were developed in a very short time. First successful flight was performed in December 1970. State Acceptance trials began in 1972, and pre-production batch of 10 UAVs started in 1973 at Kumertau (Bashkiria, Bashkortostan). In 1976 the "Reis" system was adopted by military. It was in production until 1989, and 950 aircraft were built. Tu-143 is all metal, highly versatile reconnaissance aircraft that could take-off from just about anywhere. It was configured for reconnaissance in difficult terrain conditions and heavy air defense activity. The UAV has a monoplane tailless delta scheme, with a tapered wing and fixed delta canards. Used material include D-16 duralumin and AMG-6 magnesium alloys, as well as fiberglass with honeycomb filler. It is propelled by a TR3-117 jet engine manufactured by Klimov NPO and a single solid rocket booster. VR-3 system, launch of the Tu-143 UAV. The aircraft is launched by the SPU-143 system mounted on VAZ-135 multi-purpose truck and is recovered with a parachute. The launcher is reloaded using the TZM-143 transport / loader vehicle. "Reis" was adopted by army, and soon proved to be superior to manned reconnaissaters (assuming that they carry similar information gathering equipment). The key to success was an advanced guidance system able to use nap-of-the-earth flight. It guaranteed a more precise approach to designated area, especially in cases when multiple areas had to be observed. The Tu-143 is a semi-stealth system, reducing the effectiveness of radar and radar-guided missiles by one level, and IR systems by one level. It also became the first one liberally sold to allied countries throughout the world. The aircraft saw combat action over Israel in 1982 (operated by Syria). Israeli air defenses knew about Tu-143 but were never able to detect or shoot down one. It also was mentioned that Tu-143 was operated in high mountains, taking off and landing at elevations up to 2000m and flying over mountain ranges as high as 5000m. Was it in Afghanistan? Ukrainian Tu-143 is about to be loaded into the launcher tube. Another UAV is seen on the platform, covered. Landing of the Tu-143 is a multi-step procedure. After aircraft enters landing zone, the engine is cut off. Steep climb and brake parachute slow it down, and after about 11sec brake parachute is jettissoned and replaced with landing one. When descent is vertical, landing parachute is automatically re-attached from the extreme tail to the center of the fuselage, and Tu-143 turns into horizontal position. At the same time, sensor poles and landing gear are erected. When sensor poles touch the hard surface, solid landing rockets slow the descent speed from 6m/sec to 2m/sec. Landing parachute is jettissoned once the landing gear is loaded to avoid dragging the aircraft by the wind. 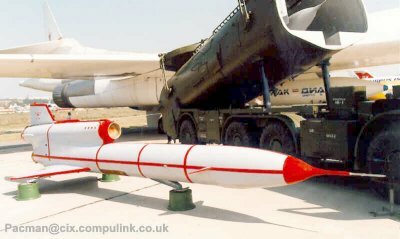 Since 1985 a target drone version of Tu-143 was built under designation M-143 (or VR-3VM, VM for aerial target). 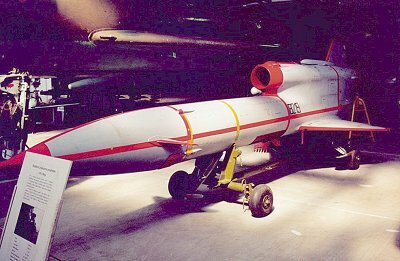 This target drone is still used by former Soviet states. In October 2001 one of those was used during infamous Ukrainian PVO, when missile from the S-200 long-range system destroyed Russian Tu-154 airliner over the Black Sea. VR-3 equipped reconnaissance squads included four launchers, carrying three aircraft each, means of retrieval of landed aircraft, command-control post, communication unit, unit of the data decoding and analysis and storage of extra drones. Mobile launcher guaranteed Tu-153 takeoff under windy (up to 15m/sec) conditions. Transportation speed (on pawed road) is 30 to 45km/h, depending on the light and weather conditions. Tu-143 readiness time is 15min, standard reloading time - 4h.